Europe is well known for its beautiful Christmas markets. Yet did you know that there are also many gorgeous Easter markets to visit? Expect painted Easter crafts, pretty blossoms and traditional gifts on offer on little wooden stalls in the heart of ancient European capitals. Below I have listed three of Europe’s best Easter markets to visit this Easter. Krakow, the historical capital of Poland has a beautiful and very traditional Easter market. Poland is a Catholic country and therefore Easter is a very important time of year. 86% of the Polish population is Catholic and they desire Easter treats to decorate their homes with in spring. I really liked the Krakow Easter market located in the atmospheric Rynek Główny. Krakow’s Easter market is on the picturesque main square and boasts many stalls with traditional crafts. The main square itself dates back to the 13th century. It is also one of the largest medieval town squares in Europe meaning there is space for plenty of stalls. Many of the wooden stalls sell beautiful, decorative eggs. These wooden Easter eggs are known as Pisanki. I found out that there are many different types of traditional Easter eggs but Pisanki were my favourite. I loved the intricate patterns and colourful paint. A sense of tradition and timelessness was heightened through the use of wood to create these decorations. Make sure you also visit the stalls inside the Krakow Cloth Hall, Sukiennice. Once a major site of international trade, you can now buy touristy as well as traditional goods at this market during your visit. Look out for the Krakow dragon cuddly toys next to the stunning national outfits in black, white and red adorned with stitches of flower patterns. Also look up to see flowers adorned to lanterns on the ceiling to enhance the Easter spirit of spring’s arrival and symbol of rebirth. After or during your explorations, warm up with some yummy potato pierogi available at many of the wooden stands. There will also be delicious Grzaniec Galicyjski which is a regional mulled wine to taste. Despite Polish cuisine being typically very meat-heavy, there is so much incredible vegan food in Krakow to try in the city! You can find some vegan snacks at the market but there are plenty of other options around the city. The 2019 Krakow Easter market runs from April 11th 2019 until April 22nd 2019. Whilst I loved the traditional Pisanki eggs in Krakow, Budapest’s Easter markets had the best variety of colourful crafts. There were gorgeous handmade crafts, striking modern art and incredibly tasty food. Every stall is different but all offer stunning, handmade crafts. I wanted to buy everything. There were delicate flowers made out of porcelain. Sweet little cushions filled with lavender hung from another stall. Incredibly detailed prints of Budapest caught my attention as I imagined how they would look in my future home. The list goes on. I visited Budapest’s Easter market with 2 of my friends, Alison and Janota. We all wanted to buy a gift and spent a while choosing which handmade item we would like. In the end we decided on a small purse which we agreed would be a useful souvenir. We all chose a similar purse with a cloth picture of Budapest’s parliament building to remind us of our wonderful Easter visit to Budapest. This market also hosts workshops and concerts. These interactive programs are held in order to allow visitors to see forgotten crafts and experience folk traditions. At the 2018 Easter market you can take part in: felt making, beading, glass blowing and even making musical instruments. Concerts and performances are held on Fridays and Saturdays. There are many tasty local delicacies to try. Make sure you have at least one hot langos with garlic during your stay in Hungary. The 2019 Budapest Easter Market runs from April 15th 2019 through to April 28th 2019. Prague is one of my favourite cities. I have visited this central European city eight times therefore I had to include Prague’s Easter market in the top three. This market makes our list for being simply full of blossom and colourful trees. The sun was out and it felt as if spring truly had sprung. Bursts of pink and yellow were dotted around the historical Staroměstské náměstí. Prague’s old Town square is one of the most impressive medieval squares in Europe. The wonderfully gothic cathedral towers over the cobbles and tourists below. The many wooden huts are dwarfed by the spikey towers. These little stalls sell traditional and touristy wares such as local handicrafts, delicate embroidered lace, fun wooden toys, blue ceramics and scented candles amongst many other Easter gifts. No trip to Prague is complete without trying a local beer. Try a Pilsner Urquell, Staropramen or Budvar whilst you walk around the stalls. If that’s a bit fresh for you, enjoy a hot drink such as the Czech mulled wine svařené víno. Of course there is also music and dance. Children from all over the Czech Republic travel to Prague to perform in traditional dress at Prague’s Easter market. I liked this Easter Market due to the colourfully decorated trees and pretty pink blossoms placed in the ancient heart of Prague. Of course, there are many other wonderful things to see in Prague. Check out this comprehensive guide about exploring Prague as a local. Or if you fancy exploring more incredible places in neighbouring countries see this ultimate central Europe itinerary. Prague’s Easter Market runs from 17th March – 8th April 2018. 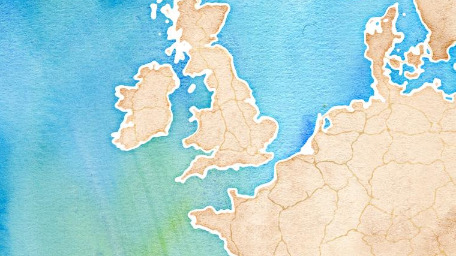 Which European Easter Market would you like to visit? 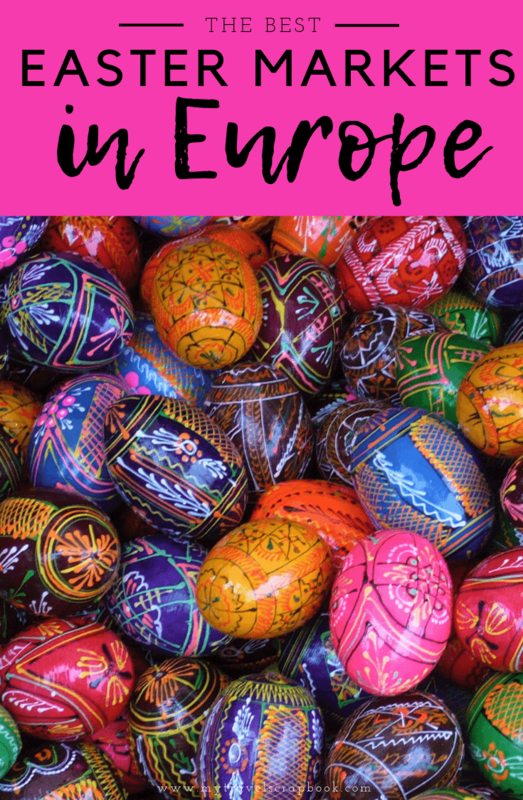 The Easter markets in Budapest, Krakow and Prague were my top three Easter markets to visit in Europe in springtime. Krakow offers the most traditional goods compared to Budapest which had wonderfully crafty things to buy. Prague was certainly the most colourful Easter market out of all of the European Easter markets. All of the Easter markets are on beautiful squares in the centre of stunning European cities surrounded by wonderful architecture. All three of the Easter markets are worth visiting. Which one would you like to visit? Would you prefer to visit the Krakow Easter market, the Budapest Easter market or the Prague Easter market? Or are you finding it hard to choose? Let us know in the comments below. What a truly fun post! I had never thought about the Easter Holiday as a way to shape spring travel, but what a great idea! To see some of these enchanting markets in picturesque towns. Thank you for sharing! Cheers! Nice fun post. Although we don’t celebrate Easter in our country but somehow I like this celebration. It’s a fun time for everyone, I assume. Thanks for sharing. I’d never heard of an Easter Market but why should Christmas get all the action?! Love all those colourful eggs and the blossoms. I didn’t even know it was a thing. How lovely and colourful though!